Staying in a modern house with a stylish décor, contemporary furnishing and well-lit spacious rooms is something we all wish for. But what happens when we already own a house, which over the years, has depreciated in beauty and functionality alike? 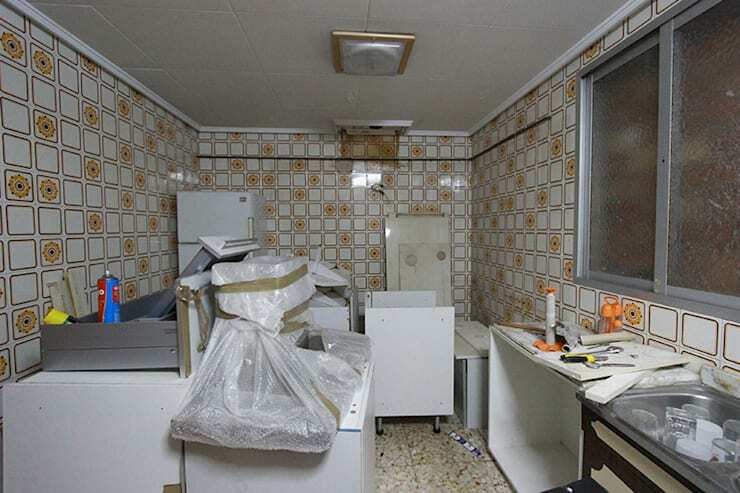 This is when the restoration and renovation experts at NOVODECO came to the rescue. 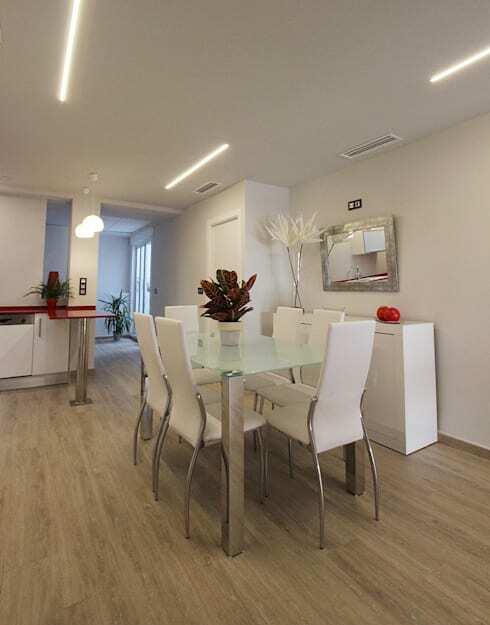 Take this before and after tour with us to check out the transformational magic that this architect group have created in a house at Santa Paula, Alicante. The room looks gloomy due to lack of proper illumination. Also natural light seems to be blocked by the bulky furniture. With two plush sofas neatly arranged on one side of this drawing room, there is plenty of open space. The old mosaic tiles have been replaced by neat wooden flooring. 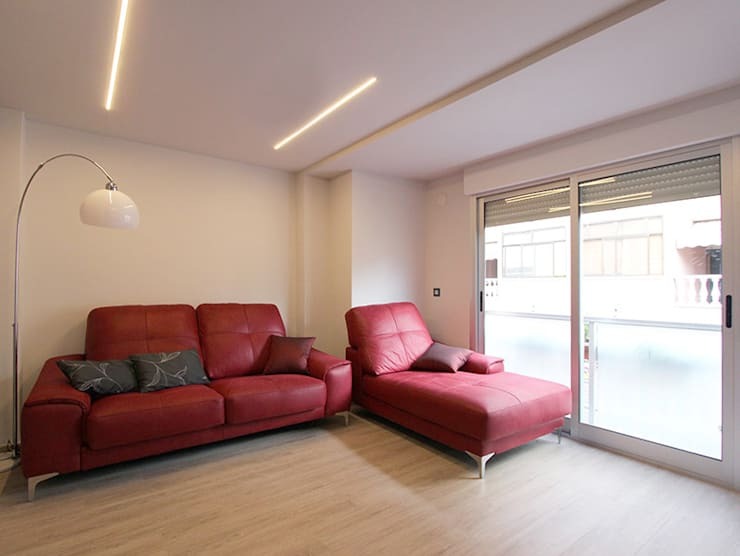 The sliding glass door ensures proper penetration of daylight. A task light standing in one corner of the room is the highlight, giving the space a more balanced look. The living and dining spaces sit in one big hall and encourages seamless circulation to the kitchen. A simple yet classy rectangular dining table with a glass top and elegant white chairs adds beauty to the space. An overhead cutlery rack beside the dining table serves as a console. Beautiful glass flowers defines the simplicity of the space. The original setup of the kitchen was nowhere close to being organised and drastically required changes. It was quite a challenging task for the designers to create a minimalist look. A ’C’ shaped kitchen perfectly defined the rectangular space. A breakfast counter is created with stainless steel rod support. 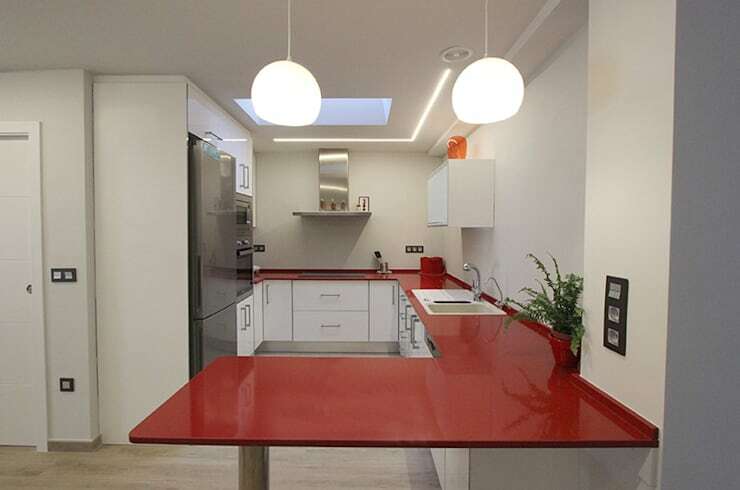 Red coloured Corian countertop is the focal point of the space. A skylight on the ceiling offers ample light to the space.For electric appliances, a separate cabinet has been created, which gives a compact look to the kitchen. A basic structrue with a double bed and a wooden wall cupbord is seen in this picture. 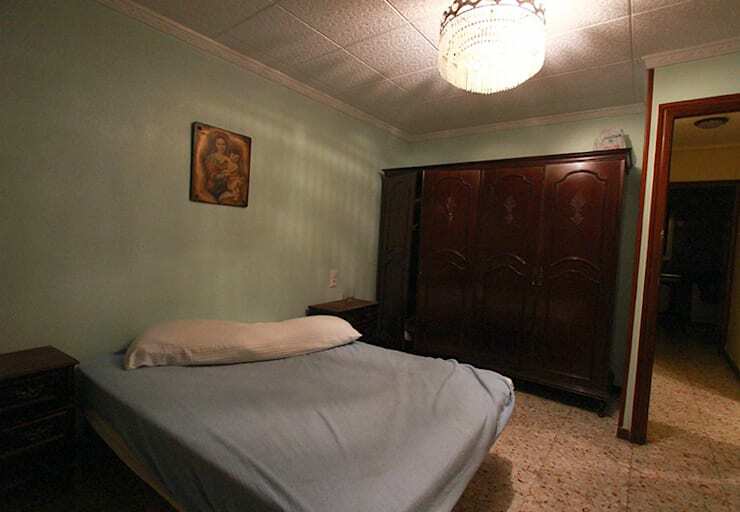 The light from the ceiling is defintely not enough to brighten the bedroom. The white overhead cabinets seen above the bath tub is quite difficult to operate. No shower area is provided. The black flooring contribute to the darkness in the bathroom.A balance is created with the square panels on the head rest of the bed and wardrobe shutters. 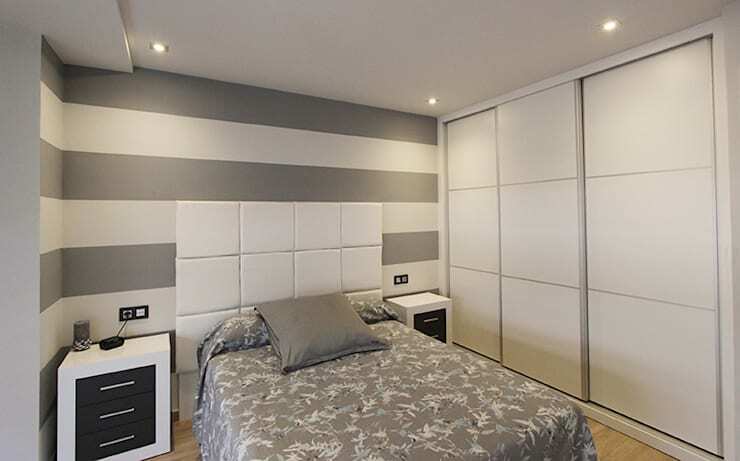 An exclusive sliding wardrobe creates more space in the room. 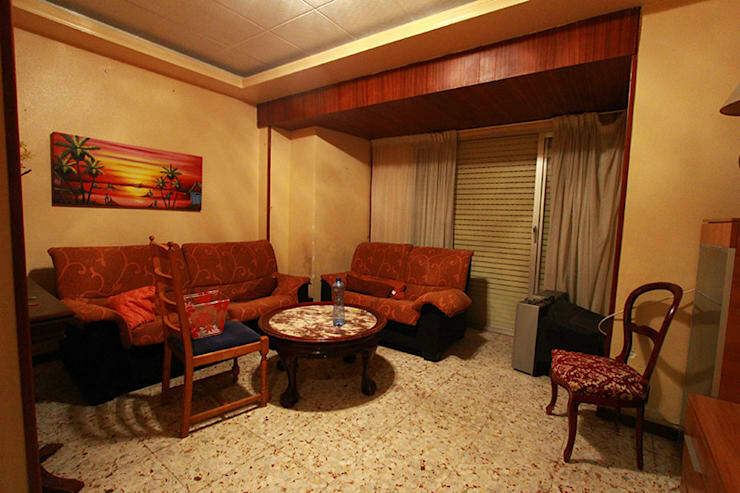 With proper wall paint, colour combinations and multiple lights on the ceiling, the room is illuminated. The bedside drawers score on the functionality aspect of the room. The white overhead cabinets seen above the bath tub is quite difficult to operate. No shower area is provided. 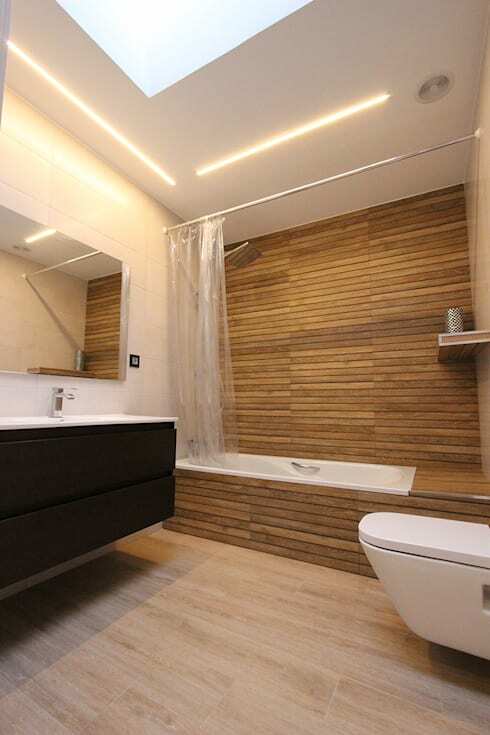 The black flooring contribute to the darkness in the bathroom. The transformed bathroom has a proper storage, created below the sink. For easy cleaning and maintenance, the designers have prudently retained the height of this storage a feet above the ground. 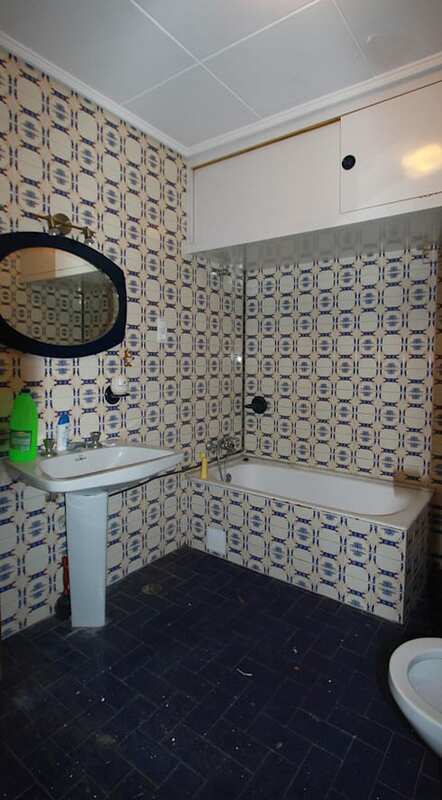 Stylish tiles have been cladded on the bathtub section, which now has a separate shower area. A shower curtain creates a space division. All new sanitary fittings and fixtures give a modern look to this space. Minute details such as a side handle for the bathtub have also been taken care of. Here's another story - This reno delivers much-needed charm to an dull home.